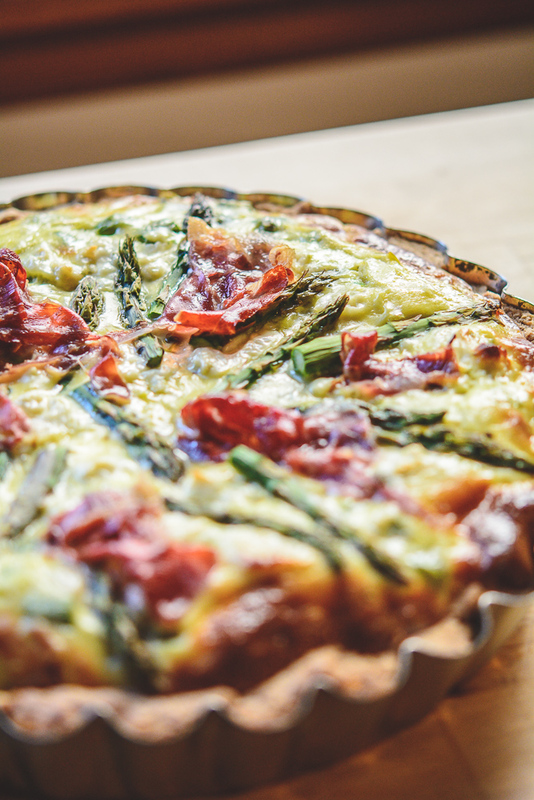 Real Men Don’t Eat Quiche…so they say. What a ridiculous book with the annoying (personal opinion) tagline of ‘A Guidebook To All That is Truly Masculine’. Silly I know, but I guess it really did have an effect on men’s consumption of the latest groovy trend of the ’80s, quiche. 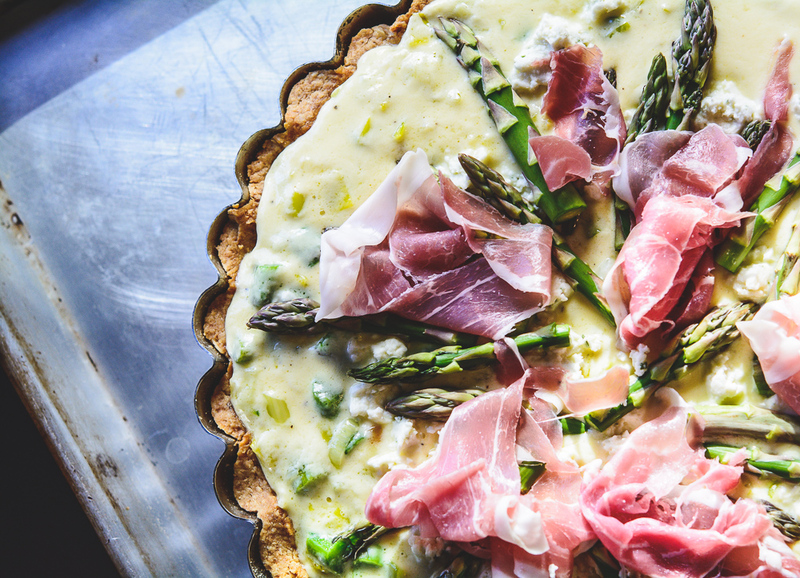 With spring asparagus and leeks and hopefully fresh ricotta, this quiche is protein-packed (and soooo delish) enough to challenge any macho-macho man. 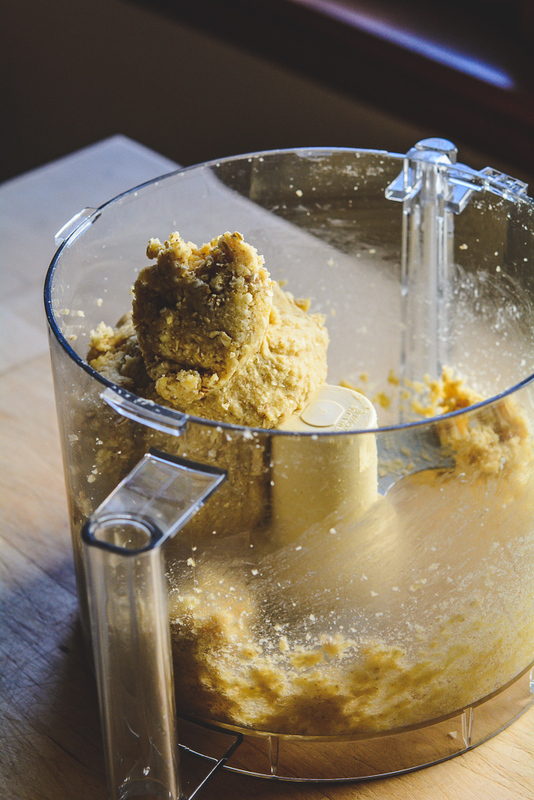 The dough should hold together like this. Using almond flour for the crust makes it gluten-free but don’t for one minute thinks it’s not delicious. 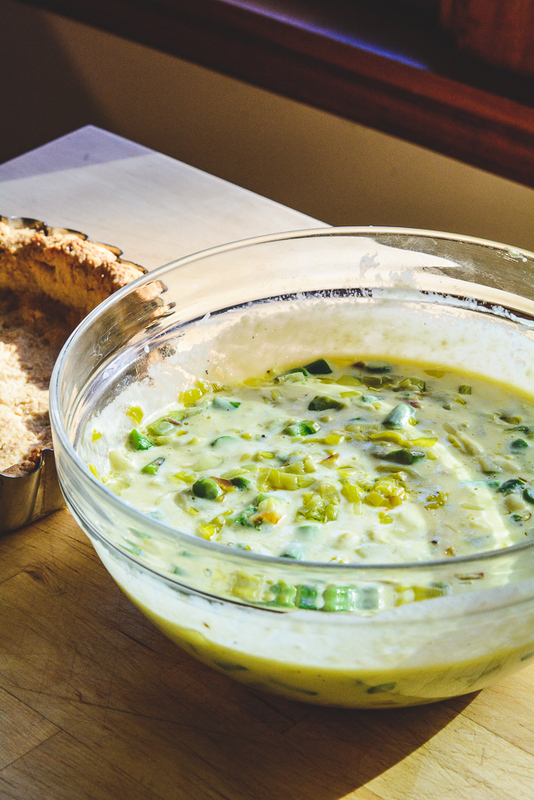 The nuttiness of the flour pairs perfectly with the leeks, asparagus and goat’s cheese. It’s a marriage made in heaven. I prefer it to the regular flour crust, and those ‘real men’ anyway :). This nutty crust is also much easier to work with then a pâte brisée (fancy word for pie crust, pronounced paht bree-ZAY) and you don’t need to roll it out. 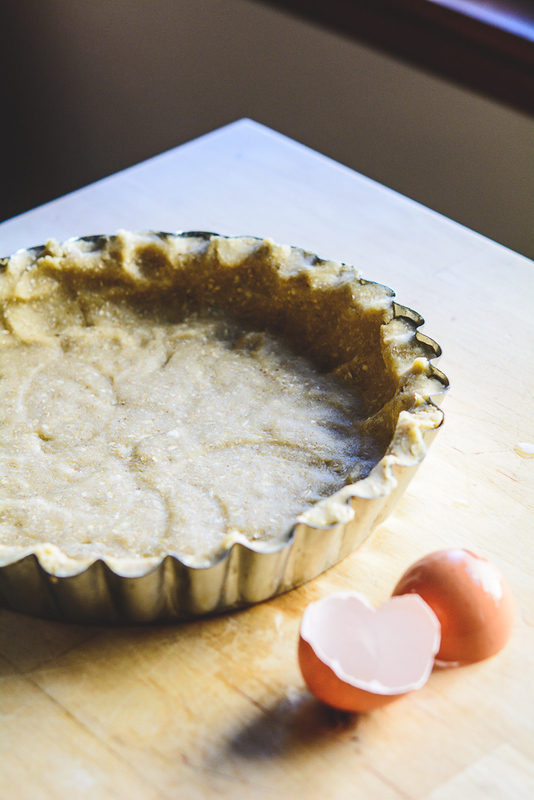 Just gather into a disk, and push it into the corners and up the sides of the tart pan. Get the kids involved, it’s like Play-Doh, only it tastes good. This filling is waiting to jump into the quiche pool. 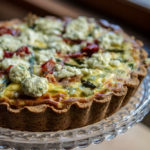 Take an extra thirty or so minutes to make up the Homemade Ricotta and you have a perfectly perfect quiche for Easter Sunday, Mother’s Day or a special brunch date. 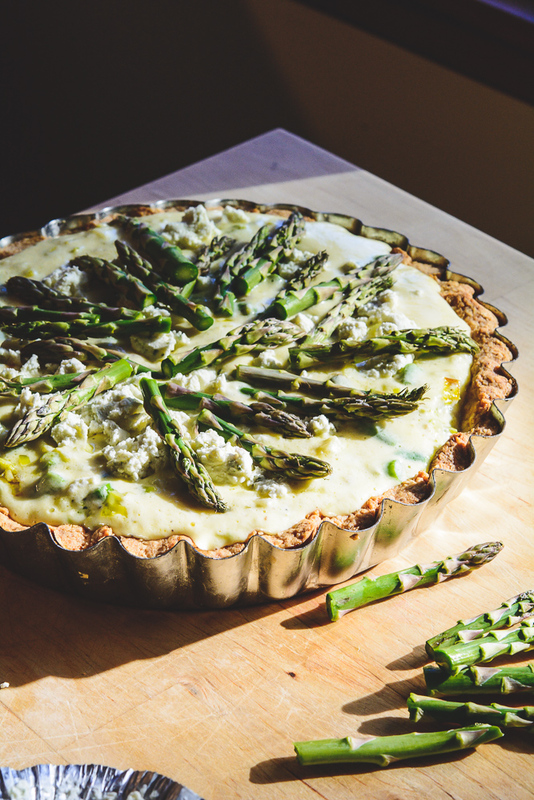 If you don’t have a fun quiche/tart pan, you can certainly use a 9-inch glass pie plate. But be sure to not over-fill, which would lead to a disastrous oven mess, even with a rimmed baking sheet underneath, which you will definitely use, right!